Though electric cars date their history back to the 1850s, it is only very recently that they started getting the attention they deserve. There are different reasons that make an electric car a better choice over a gasoline powered car. Firstly, it is eco-friendly. Unlike a car that uses fossil fuel, an electric car doesn’t emit any exhaust fumes and pollute the environment. Secondly, there is the fear that the existing reservoirs of fossil fuels may get depleted one day. If the oil wells get dried up, all vehicles that use petroleum products as their fuel will come to a standstill. High cost of gasoline is another reason for an increased interest in electric and hybrid cars. Over the years, many people have already converted their gasoline driven cars into electric cars. Most of the electric cars you see on the roads are not manufactured as electric cars; they were once gasoline powered cars and their owners converted them into electric cars. Electric car conversion can be carried out by the car owners themselves if they have basic knowledge about working of a car and electricity. It is surprising to see that irrespective of the numerous benefits an electric car offers, only very few of them are produced in factories. The importance of electric cars was clearly understood when the venue of Olympics Games in Beijing was shrouded in smog some years ago. Smoke and fog get mixed up to form smog. Smog is a common phenomenon in large cities and industrial areas where large amount of smoke is produced by factories and vehicles. Smog not only makes visibility poor but has serious repercussions on the people’s health too. Respiratory and eye problems are common among people who live in large cities and towns. 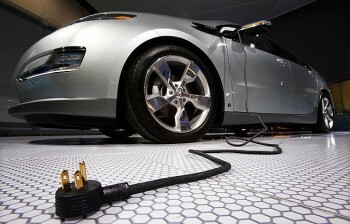 An electric car is powered by electricity stored in its rechargeable battery. Since the car runs on electricity, there are practically no emissions. But a gasoline powered car utilizes only a quarter of the fuel for its energy needs and the rest is wasted as exhaust fumes. An electric car doesn’t waste any fuel like a traditional car. It is also very cheap to drive an electric car as it doesn’t need any costly fossil fuel. It needs less maintenance compared to a traditional car. An expensive part of an electric car is its battery and improvements in battery technology have made battery life longer. New batteries can store more electricity and they need less frequent recharging. Another good thing about an electric car is its silent functioning. Since no internal combustion takes place in an electric car, it doesn’t produce any sound at all. By converting your car into an electric car, you can make the best use of your old car which otherwise would have become junk. It is much cheaper to convert an old car into an electric car than buying a new one. Any car owner who has the basic skills, tools and knowledge can convert his/her car into an electric car. If you search on the internet, you will get all the information you need on car conversion. Since electric cars have so many advantages, they will outnumber the gasoline powered cars in the near future.